The cannabis industry blossomed and opened up in 2018 with a lot of enthusiasm from customers and investors alike. This was fuelled by the developments which opened up new avenues for new opportunities in the exciting world of cannabis. Some positive developments include the Canadian legalization of recreational marijuana use and the legal adoption of cannabis for both recreational and medical use in more states across the U.S. However, Cannabis stocks did not perform up to set expectations last year. 2019 promises to be even better with continued anticipation amongst all in this growing industry. In order for cannabis stock to show a remarkable and stable rise, many companies need to build up and grow. This includes strengthening their balance sheets, keeping speculation in check and impressive quarterly figures which should meet expectations set by these companies. In order for the cannabis industry to improve their fortunes this 2019, the best solution would be to come up with new cannabis-based products. While the market is flooded with marijuana-based products, only a few will emerge winners which can drive sales and improve their companies’ status. This is a category which is only going to emerge with leading popularity this 2019. Edibles and other products which could be considered non-cannabis alternatives were not regulated when Canada decided to legalize recreational marijuana use among adults. 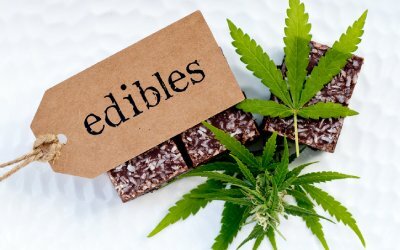 The Canadian government decided on a year window from the initial legalization date of October 17, 2018, to come out with proper regulations for edibles products. In the meantime, Canadian marijuana companies are working towards edibles for retail sale, while retailers are giving away freebies which they aren’t allowed to. Canadian edibles will become legal on or before October 17, 2019, and after this, you can expect a rush for these products into retail shops. It is estimated that edibles alone could become a billion-dollar industry in the coming years. Much is being spoken about on how beverage companies are trying to lap up this cannabis craze and are coming up with innovative beverages. The cannabis headlines which was big in 2018 was about Constellation Brands, the beverage company behind Corona and Modelo brand beers, having partnered with Canopy Growth Corp. (CGC), which is the largest cannabis producer in Canada. Alcoholic beverage brands like this lining up a major cannabis company leads to speculation that there could be joint product launches during this year. 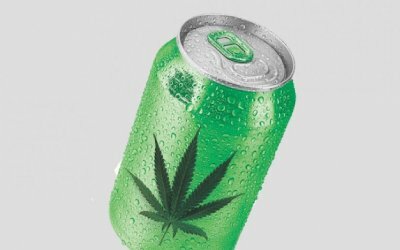 It’s not just Constellation, many others like Molson Coors have also announced such partnerships which could increase the demand for cannabis-based beverages. You can also expect a THC-infused beverage market as a subcategory of the larger edibles space. What’s expected are products like THC and CBD-infused juices, waters and seltzers or coffees. CBD products are considered as health drinks which could help in reducing anxiety and inflammation without a high in the same way that THC does. 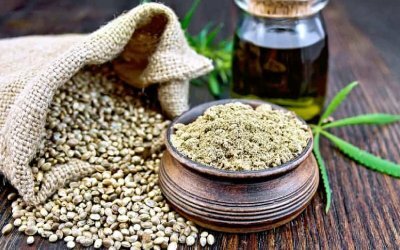 CBD has made its way into all types of products for sale. Cannabis could mean anything more than a dozen components, but CBD is the most popular one and for inclusion in drinks, vapes, bath bombs and more. CBD has been widely marketed as a product which has some amazing health benefits like anxiety reducer, insomnia and even for epilepsy. While there isn’t enough medical proof, it has generated widespread interest in CBD. Beauty and skin care CBD products are among the most popular of these new products. CBD is also used as an alternative drug treatment option. Companies like GW Pharmaceuticals are developing and testing new CBD-based drug treatments. This has the potential for great improvement and also the benefit of providing more evidence of the effectiveness of medical marijuana on a much broader level.